Would you make a good nurse? Take our career test to find out how you match with this and over 800 other careers. What is the workplace of a Nurse like? What is some good advice for nursing students? What makes an excellent nurse? A nurse provides care to patients in a healthcare environment, and is the biggest healthcare occupation in the United States. Many different specialities exist for a nurse, from working in the NICU with the tiniest of newborn patients, to geriatrics and palliative nursing for those at the end of their lives. Nurses help people by contributing to their health, recovery, or peaceful death, and strive to achieve the best possible quality of life for their patients, regardless of disease or disability. They also advocate in healthcare for individuals, families, and communities. The educational path for becoming a nurse varies depending on the type of nurse one hopes to become, but all nurses must be licensed. The day-to-day routine of a nurse tends to be a structured environment. Working in a hospital, one would follow a certain protocol when caring for patients and coordinating with doctors and other staff members. Administering medication, helping prepare patients for surgeries and treatments, and assisting doctors and surgeons during procedures are a few of the daily tasks. Educating patients is another important aspect of nursing. Sharing knowledge about health and lifestyle changes can have a very positive effect on a patient's life. Many nurses agree that learning doesn't end with graduating, and indeed, they continue to learn until the end of their careers. Nursing can be a rather dynamic career choice, and is well-suited to someone who is considered a problem-solver. 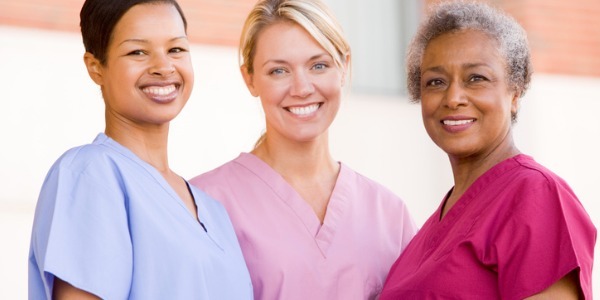 Some nurses work with a great deal of autonomy, while others work with very close supervision. This is something to keep in mind when considering different nursing careers. A licensed practical nurse works under the supervision of doctors and registered nurses to perform basic health care and assistance for patients that are sick and injured. In states where a wide scope of practice is allowed, a licensed practical nurse can perform most of the same skills as a registered nurse. In states where a narrower scope of practice is in place, these nurses are quite limited in their duties. These types of nurses are most appropriately suited to patients with less complex needs, and patients with stable and predictable conditions. A licensed practical nurse has to take a program consisting of four semesters over two years in a college program leading to a diploma in practical nursing. A registered nurse is part of a support system, and has a variety of tasks they take care of on a daily basis. They administer medication, keep records, monitor patients, consult with other healthcare providers, and educate individuals and their families on healthcare. They provide direct care to their patients, as well as supervise orderlies, nursing assistants and licensed practical nurses. A registered nurse can care for patients in unpredictable situations, and with more complex needs. A registered nurse has to either take a collaborative college-university nursing program or a four-year university nursing program — both leading to a Bachelor of Science in Nursing degree (BScN) or Bachelor of Nursing degree (BN). Clinical nurse specialists (CNSs) work to improve patient outcomes by using theory and research to further the success of nursing systems. This career is categorized as an advanced practice registered nurse (APRN) role. Clinical nurse specialists provide care to patients in one of many specialties, such as geriatrics, pediatrics, oncology, and emergency care, to name a few. They may also work as consultants by helping other health professionals to improve patient care and can play a leading role in developing guidelines and protocols, providing support and consultation, facilitating system change, and promoting the use of evidence. Clinical nurse specialists are registered nurses who typically hold a master’s degree along with national certification. They spend two to three more years in school beyond the requirements for registered nurse licensure. Certification indicates advanced knowledge and clinical skills specific to a specific patient population or specialized area of nursing. Nurse practitioners are able to prescribe medications, perform in-office procedures, communicate diagnoses, and order and interpret diagnostic tests. They also have hospital admitting, discharge and hospital rounding privileges. There is a lot of collaboration between the nurse practitioner and the physician and vice versa. Because the nurse practitioner can practice independently from the physician, the physician is freed up to leave the office and focus on surgical cases, do rounds at the hospital, or tend to an emergency. There are four nurse practitioner specialty areas: primary health care, adult, pediatric care, and anesthesia. After obtaining a bachelor’s degree, candidates must complete an additional two to six years of study to earn a master’s degree in nursing, or Doctorate of Nursing Practice (and many graduate schools require nurse practitioner candidates to have a few years of experience as a registered nurse). An acute care nurse practitioner (ACNP) is someone who provides advanced nursing care to patients suffering brief but severe illnesses, typically in an emergency department, ambulatory care clinic or other short term stay facility. They can care for patients suffering from heart attacks, respiratory distress syndrome or shock. They also care for pre- and post-operative patients, perform advanced, invasive diagnostic and therapeutic procedures, prescribe special medications, perform screenings exams, provide x-rays, assign patients to rehabilitation programs, open their own clinics and become primary health care providers for their patients. 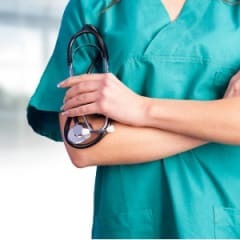 Acute care nurse practitioners need to get a Masters of Science in Nursing (MSN) degree that includes specialized ACNP coursework, and become certified by your State Board of Nursing or receive a national certification from an agency such as the American Nurses Credentialing Center or the American Academy of Nurse Practitioners. A nurse anesthetist (or a certified registered nurse anesthetist (CRNA)), is someone who is capable of administering anesthesia under the oversight of an anesthesiologist, surgeon, dentist, podiatrist or other qualified healthcare professional. Nurse anesthetists are independently licensed health professionals, and are often the sole providers of anesthesia services that offer surgical, obstetrical, and trauma stabilization services in rural hospitals and areas where it would otherwise not be possible. Outside of the operating room, a nurse anesthetist can provide services in other areas, such as lithotripsy units, MRI units, and cardiac catheterization labs. Some nurse anesthetists hold credentials in fields such as respiratory care or critical care nursing, and some choose to specialize in obstetric, neurosurgical, pediatric, dental or cardiovascular anesthesia services. To become a certified registered nurse anesthetist, one must first become a licensed registered nurse and work for a minimum of one year in an acute care setting. At that point, one can enter an anesthetist program and earn an MSN (Master of Science in Nursing) in Nurse Anesthesia. The profession’s educational requirements are transitioning from the master’s level to the doctoral level - in 2025, all CRNAs will need a doctorate in nurse anesthesia to enter the field. Technology is now at the point-of-care in hospitals and nursing homes - from electronic medical records and barcoded medication administration, to physiologic monitoring and 'smart' IV pumps and beds. Informatics nurse specialists are able to choose an appropriate system; provide systems preparation, development, optimization and maintenance; write policies; train and provide support to systems users; perform quality control; and even sales. They are also involved in educating other nurses and promoting professional development. 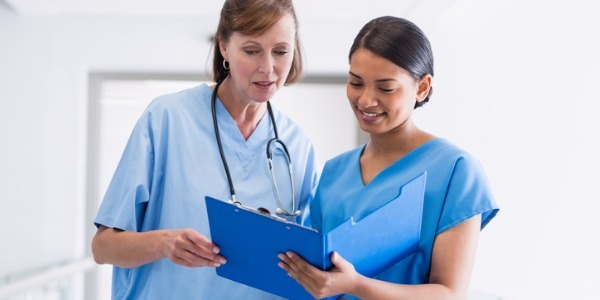 Many informatics nurse specialists are registered nurses, which is key in understanding the workflow as well as the working environment of the various care settings. Many employers prefer registered nurses for health informatics positions, because nurses already have knowledge of the medical profession. It is easier to train nurses on the technological aspects of the job rather than teaching someone with the technical skills all the details of the healthcare system. Some employers may also prefer job applicants who have earned a master’s degree in health informatics, healthcare management or quality management. Most nurse educators work as registered nurses for a period of time before dedicating their careers to educating future nurses. They therefore have the ability to play a major role in supporting the nursing workforce. These nurses have a good grasp and in-depth knowledge of nursing theories, which they can easily explain. They are also skilled at basic and advanced nursing practices and are able to teach and demonstrate them to their students. Nurse educators work both in the classroom and the practice setting. Nurse educators evaluate educational programs, develop lesson plans, teach courses, and oversee students’ clinical practice. They may also choose to focus on areas of specialization, such as nursing informatics, geriatric nursing, or pediatric nursing. Most employers require nurse educators to have a minimum of a master’s degree, but mandatory doctoral nursing degrees are becoming more common, especially for those seeking tenure. Are you suited to be a nurse? Nurses have distinct personalities. They tend to be investigative individuals, which means they’re intellectual, introspective, and inquisitive. They are curious, methodical, rational, analytical, and logical. Some of them are also social, meaning they’re kind, generous, cooperative, patient, caring, helpful, empathetic, tactful, and friendly. Does this sound like you? Take our free career test to find out if becoming a nurse is right for you. Most people would immediately think of a hospital when thinking of where a nurse would work, and that is indeed a common place of employment. However, there are many other places of employment, such as private practices, clinics, retirement centres, nursing homes, and in-home healthcare. Schools and universities, cruise ships, airports, and sports teams are some of the more unusual places for a nurse to find employment, but these and countless more opportunities exist. Nurses work long hours, often on their feet, and evenings and weekends are almost a given. Frequently, 12-hour or split shifts are necessary as well, and since hospitals and nursing homes require 24-hour coverage, frequently the less desirable "overnight" hours are assigned to nurses with less seniority. Nurses that work in a general practice, or in a doctor's office, might find the hours and workload to be more palatable, however the salary might reflect this convenience. This is a career for people who are patient, kind, motivated, enjoy a structured environment, and have a high energy level. Nursing can be very demanding in all areas - physical, mental and emotional. You'll typically be on your feet all day, and heavy lifting is often required. There are days that are so busy that there is no time to eat or to even go to the bathroom. Decisions you make can have huge consequences, both positive and negative. You'll be forever assessing and re-assessing, constantly using your critical thinking skills. You'll have to admit that you can't save everyone, and will have to watch people die while providing understanding and support to their loved ones. It can be the best and most rewarding job, and can be the most thankless and challenging job at the same time. Most nurses will tell you that when you can make a difference in someone's life, it often makes the difficulties worth it. An excellent nurse is someone who is able to be both compassionate and competent. Trust and understanding between the patient and the nurse is the result of the nurse being sympathetic to the patient's (and the family's) misfortune and being able to convey complete understanding and knowledge of what they are experiencing. The nurse needs to confidently convey that she is skilled, knowledgeable, and trusted to do the right thing. These qualities result in the ultimate bond between a patient and the nurse.